David Guetta & Anne-Marie Announce New Single "Don't Leave Me Alone"
David Guetta is releasing a new single on Thursday (July 26) called “Don’t Leave Me Alone.” The summer-ready track features Anne-Marie, who is having a breakout year courtesy of “Friends” and the Ed Sheeran-penned “2002.” It could be another big hit for both of them, if the snippet is any indication. 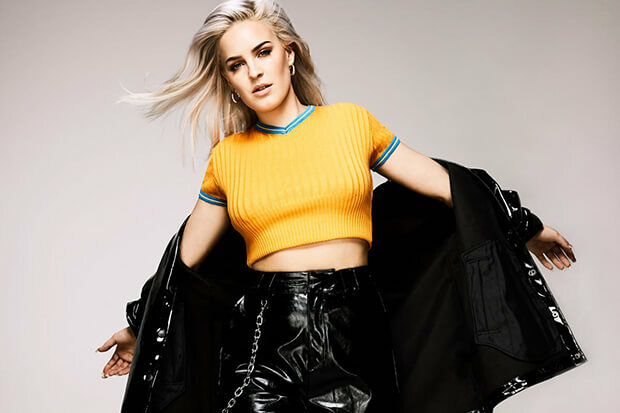 “Don’t you ever leave me, don’t you ever go,” Anne-Marie wails over the French DJ’s crashing beats. “I’ve seen it on TV, I know how it goes.” Don’t be too surprised if this becomes a late summer smash. “Don’t Leave Me Alone” is the followup to David’s Q1 hit “Flames.” While the Sia-assisted banger didn’t do a lot of damage on the Billboard Hot 100, it was a top 10 smash across most of Europe including the UK, Germany and France. It’s still unclear if the prolific producer is prepping an album or just rolling out singles until something sticks. His last LP, Listen, arrived in 2014 and sold more than one million copies worldwide. It’s about time we got an official upate on DG7. In the meantime, listen to a snippet of “Don’t Leave Me Alone” below. So happy & can’t wait to release my new single feat. @AnneMarie on thursday! Are you excited for David & Anne-Marie’s collaboration? Let us know below, or by hitting us up on Facebook and Twitter!